Deploying Cognos content between environments is typically a cumbersome process. MotioCI simplifies Cognos deployments and provides you with more command over promoting content into new environments, e.g. choose specific assets to move to a new environment, deploy a particular revision of BI content, choose when and how many environments you wish to deploy to, eliminate having to move an entire folder’s content, etc. 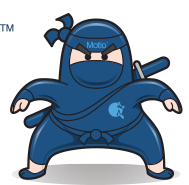 You are no longer confined to deploying an entire folder of content when you use MotioCI. You can narrow and select exactly what you need to deploy into a new environment (e.g. specific Cognos packages, reports, etc.) MotioCI gives you the freedom to easily deploy individual revisions (including deletions) of a single Cognos asset or a collection of Cognos content. This allows you and your colleagues to synchronize how content is distributed across different environments. MotioCI gives you the flexibility to promote Cognos content immediately, or to schedule it at any time, on any date. Our scheduling feature automates deployments at the most convenient times so as not to disrupt peak business hours. Additionally, MotioCI integrates with external deployment tools, enabling you to trigger a promotion through an already established method. In MotioCI, a label is used to identify specific revisions of versioned Cognos content into a single group. Labels are useful for deploying a collection of Cognos content to various environments and folders. This labelling feature permits Cognos users to customize exactly what content they choose to deploy. The Impact Analysis feature of MotioCI combines the power of automated testing and promotion capabilities to allow Cognos users to see the impact of a deployment into a new environment before committing to it. Cognos users can deploy with confidence, as Impact Analysis will uncover any problems in a temporary testing location before causing any failures in a live environment. Do the reports still work against the new version of the package? Do the reports produce accurate data? Does the new version of the package affect report performance? MotioCI also allows for “self-service” Cognos deployments. An additional time-saving feature from MotioCI is the option to automatically deploy Cognos content into a new environment once an Impact Analysis is successful. 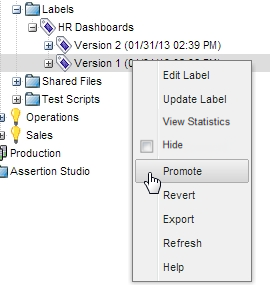 If a user makes a mistake or changes their mind, there is a single “undo” button to simply reverse a Cognos deployment to go back to its prior state.